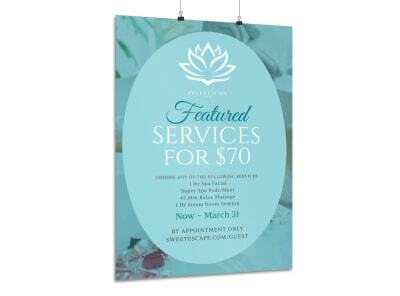 Customize our Beautiful Spa Poster Template and more! 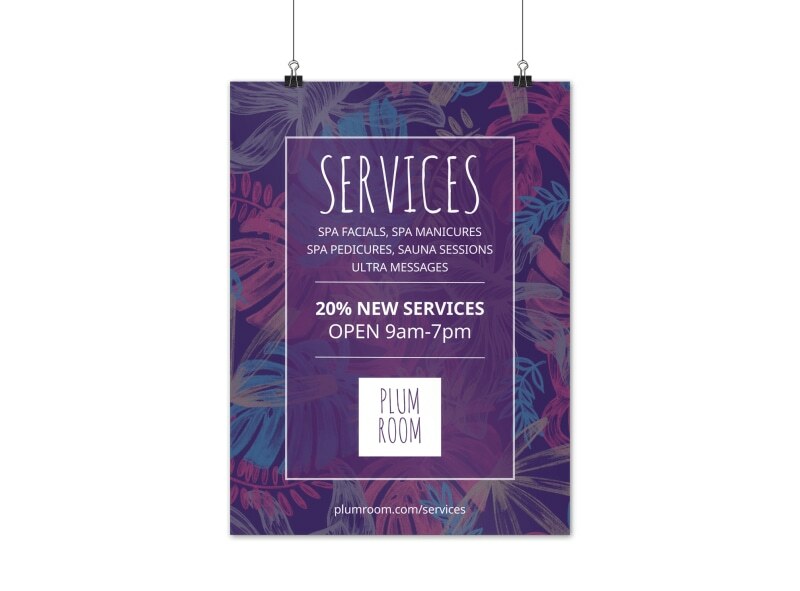 Promote your spa to potential clients with this beautiful poster that you create yourself. 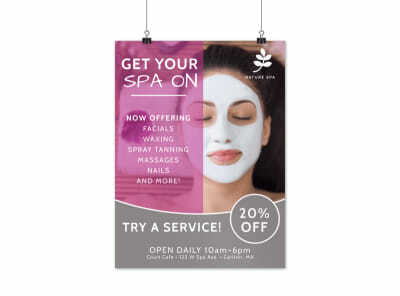 Entice potential spa clients with stunning images of your spa, along with compelling details of your establishment; choose your own color theme and other design elements to make your poster uniquely yours. 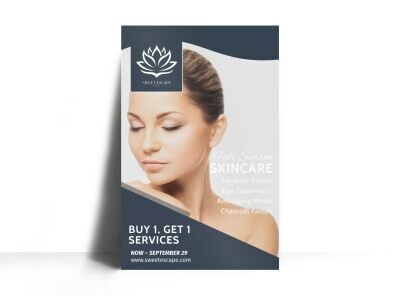 Start your design now!